Get ready for the BEST years of your life! Many see aging as something that happens “to” them. They associate it with fading passions and a loss of purpose. But you have a reason to embrace life and find joy in the coming years! 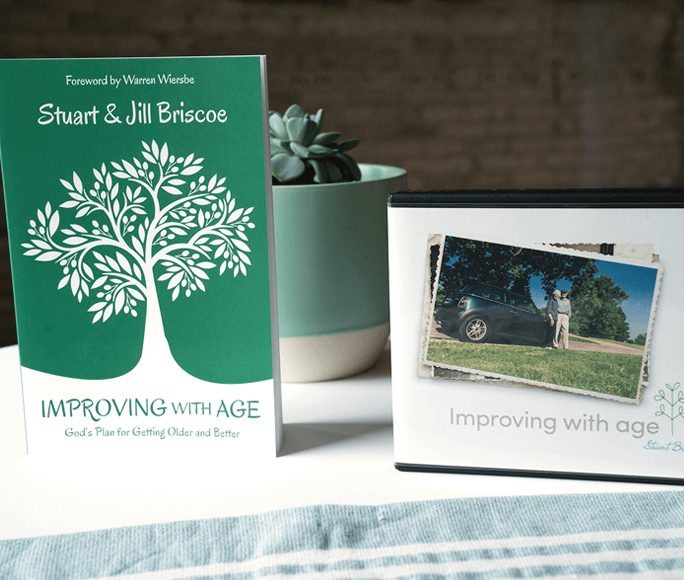 Stuart and Jill Briscoe’s book, Improving with Age, digs into God’s Word, explores what it says about getting older, and shares how the coming years can be the best of your life. We’d love to send you a copy of this encouraging resource to say thanks for your support today. And if you feel led to include a special gift of $50 or more, you’ll also get Stuart’s 6-message DVD series by the same name. Thanks so much for your generous support to help others all over the world experience abundant Life in Christ!